While the Democracy split in three parts when the Kansas-Nebraska Act, with its repeal of the Missouri Compromise, came up for a vote, two of those three parts voted for the bill in the end. We should not discount the difference between Northwestern democrats who voted for the bill in the name of popular sovereignty even if they hated the repeal and those Southern democrats who voted for the opposite reasons. That said, the third part of the Democracy deserves some attention too. As one would imagine, antislavery men lined up to denounce Kansas-Nebraska. The usual suspects from 1850 could do no less. However much we might admire them for their consistent antislavery politics, no one expected Salmon Chase or Charles Sumner to change their minds and vote for the bill. But in the North, Kansas-Nebraska changed the minds of conservative businessmen who had always before deplored antislavery agitation. Horace Greeley reported that in New York, the businessmen rose against the bill, then the tradesmen, and they drew the clergy along. Many of these anti-Nebraska men had stood for compromise and Union in 1850. They voted for Franklin Pierce and his finality platform. They, with their commercial ties to the South, had before found ample cause to give the section concession after concession. Their banks held Southern mortgages. They accepted slaves as collateral for Southern loans. They built and owned the ships that carried Southern cotton to Europe and returned full of European luxuries. They damned abolitionists as fanatical troublemakers. But they did not vote for this. They voted for the status quo that the Democracy promised. It suited them commercially, personally, and probably in large part ideologically. If the Democracy of 1854 proposed to undo the good work of the Democracy of 1850, they would not stand idly by. In Boston, Faneuil Hall held three thousand solid Compromise of 1850 Democrats, convened to denounce and oppose the bill. 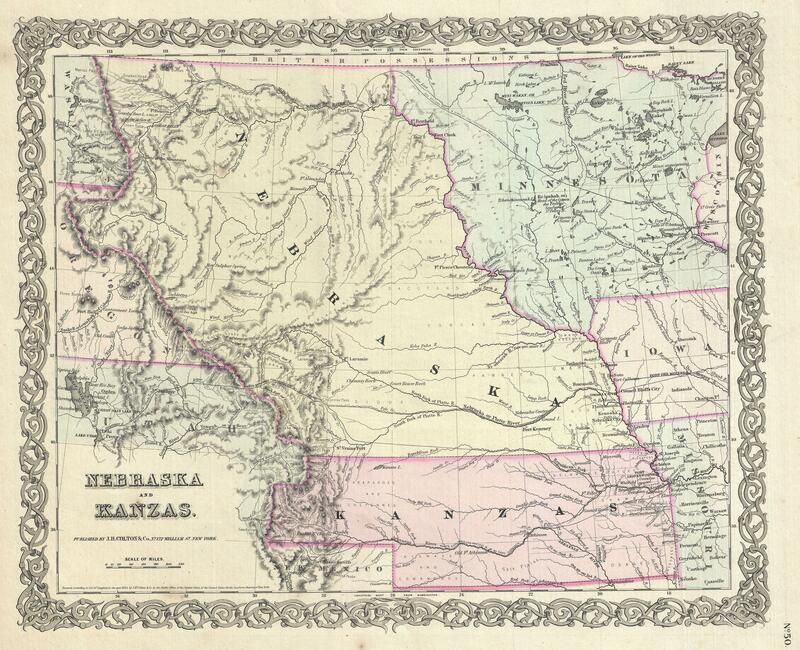 In New York, the head of the Mechanics’ Bank and a collection of respectable, conservative Democrats rallied against Kansas-Nebraska. So did a young Samuel J. Tilden, sacrificing many friendships in the party to do so. 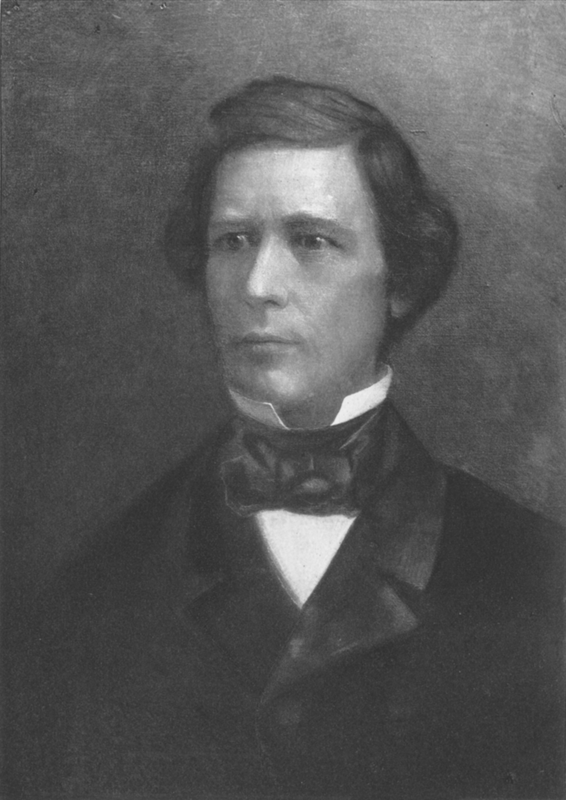 Cleveland’s citizens resolved that the Nebraska bill horrified all Ohio and wrote to the Greeley’s paper that any Congressman who cared vote for Douglas’ bill would be run out of the state. 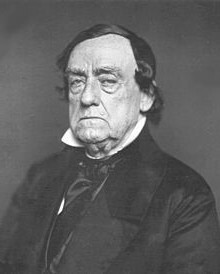 In Cincinnati, on the other end of the state and within sight of the South, a thousand “unquestioned and adamantine” Democrats agreed. 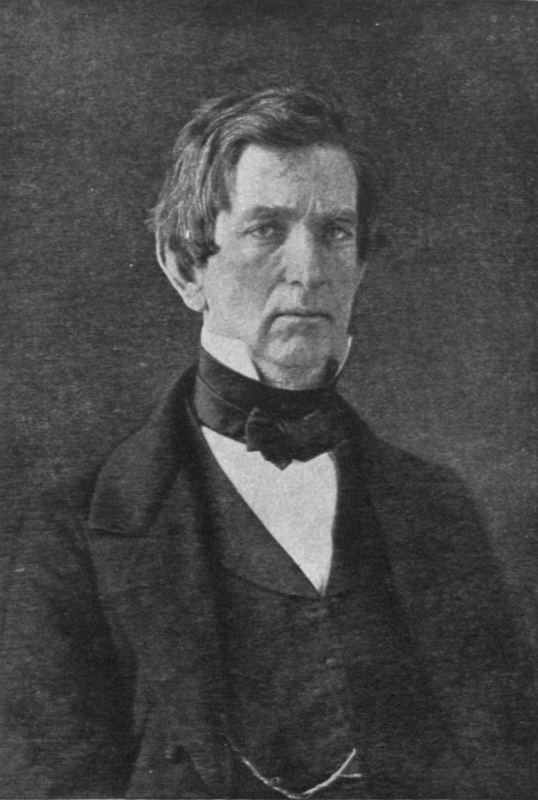 Four hundred Chicagoans, led by a former mayor who led rallies for Douglas in 1850 denounced the bill. One of Douglas’ friends addressed their meeting, calling himself an Old Hunker Democrat as he did. When loyal Douglas men tried to organize a counter meeting, the drew a crowd that declared their support for the Little Giant in all things but Nebraska. In Quincy, foes of the bill took over a pro-Douglas meeting and passed resolutions damning him. These men once fell over themselves to declare how much they hated abolitionists and supported the rights of the South. But the South had its rights and now demanded more, at the expense of the North’s rights. 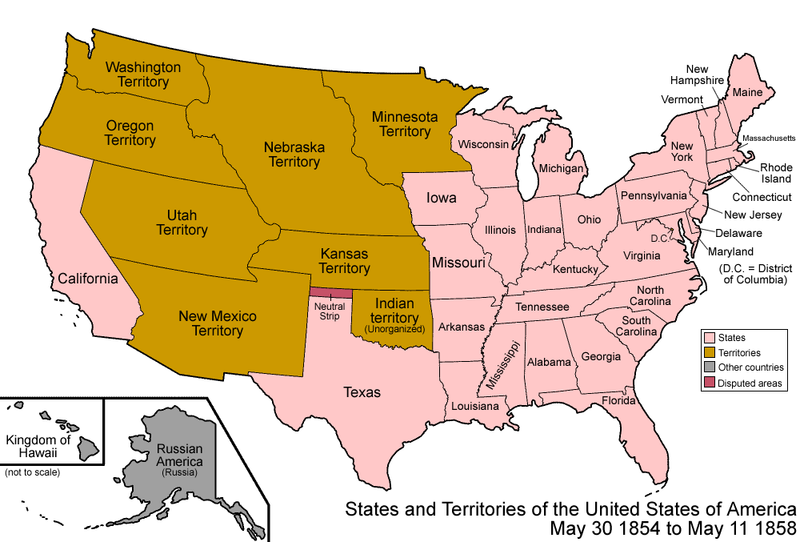 The partition of the West back in 1820 saved the Union and promised both sections a future beyond the Mississippi. This could not stand and they resolved to fight and went beyond public meetings and resolutions to do it. From late January of 1854, these men assembled fundraising apparatuses, circulated petitions, and reached out to other groups of like mind in different places. This went beyond protest; they consciously constructed a political movement and self-consciously cast themselves as latter-day committees of correspondence. 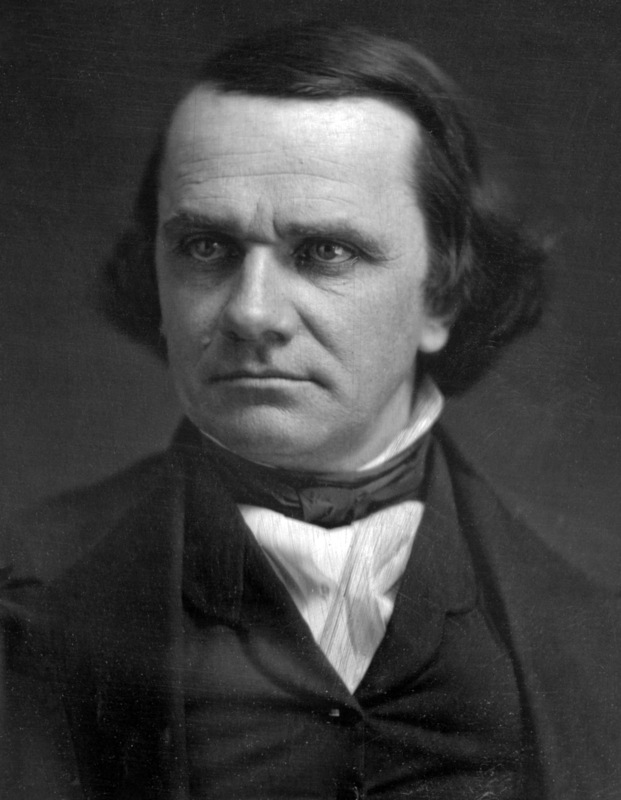 They would rouse the North against Stephen Douglas and his monstrous bill literally selling their future and their rights as white men to slavery. The future of their Republic hung in the balance. For maybe the first time, a large portion of the white North agreed with free soilers and abolitionists that the slave power, working behind closed doors, schemed nefariously to subvert the nation. The Accomplished Architect, it appeared, had devised his own ruin. 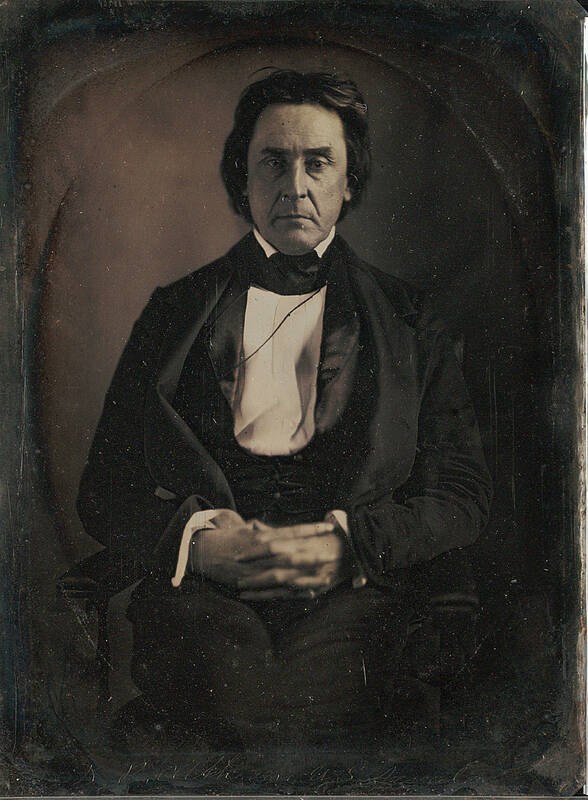 Whatever Sam Houston (1, 2, 3, 4, 5, 6), John Bell (1, 2, 3, 4, 5, 6, 7, 8, 9), Salmon P. Chase (1,2, 3, 4, 5, 6, 7, 8, 9, 10), Charles Sumner, or William Seward said against it, the Kansas–Nebraska bill passed the Senate. 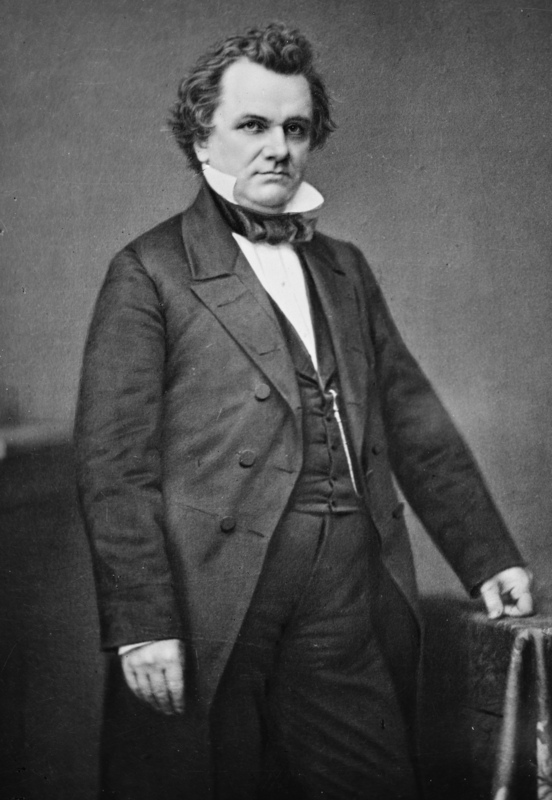 Usually when slavery stepped into the limelight, getting bills through the Senate took more doing so one might think that Stephen Douglas had smooth sailing from the vote on the morning of March 4 over to Franklin Pierce’s desk. 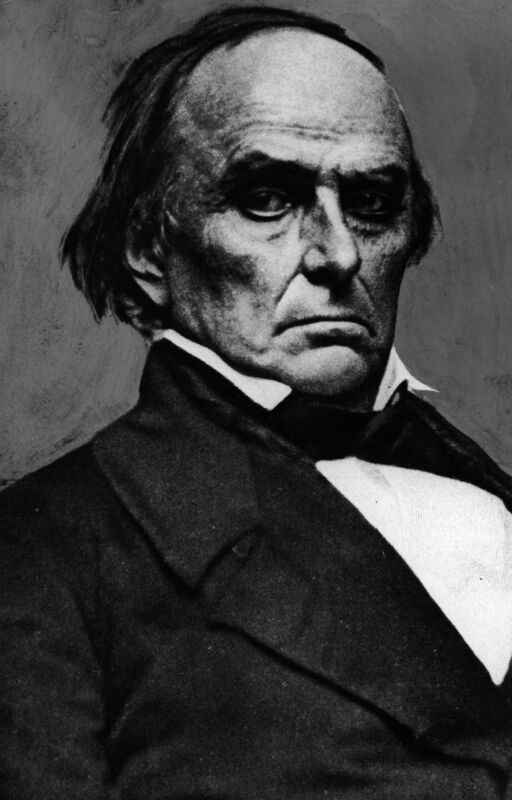 But the repeal of the Missouri Compromise turned the law from one that first proposed to open up land for new free states into a bill that opened land for new slave states. 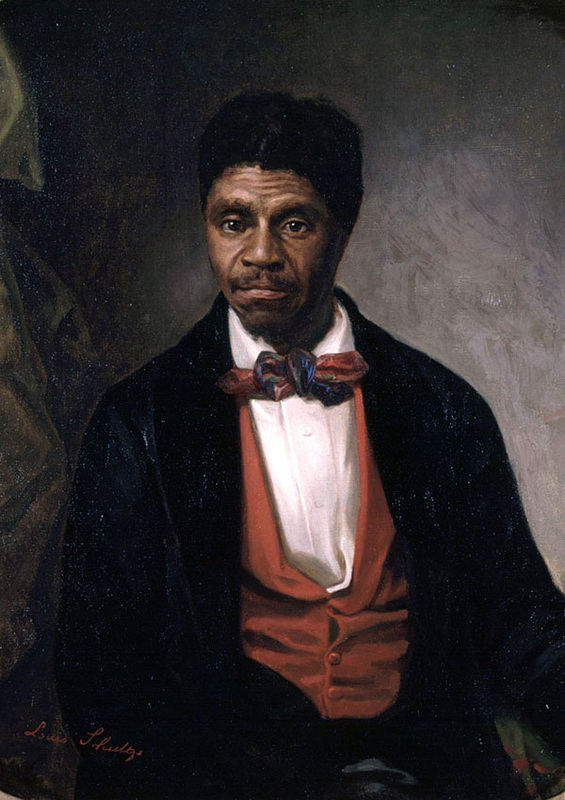 southern opposition, so powerful in the Senate, had successfully transformed a clean and relatively uncontroversial bill into the proslavery cause of the moment. Southern senators, save for Bell and Houston, lined up to vote for the valentine they wrote themselves. That same dynamic worked the other way in the House, with its northern majority. The same passions that drove the Senate debate played out here. 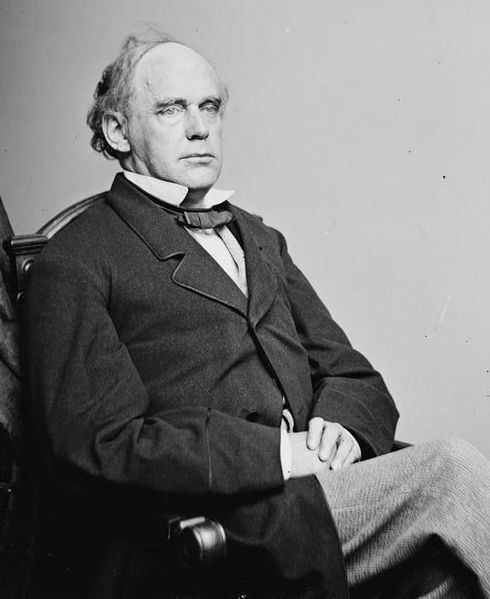 Salmon P. Chase’s Appeal of the Independent Democrats had the signatures of representatives on it and those men, if signing only for themselves, expressed broad fears in doing so. 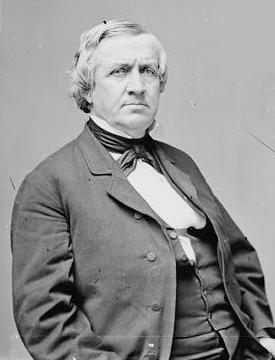 Fears about the slavepower, with its undue influence on national events thanks to the Senate and the 3/5 Compromise, combined smoothly with the fact that Douglas persisted in claiming that the nation abandoned the Missouri Compromise in 1850. The North as a whole had never done any such thing. 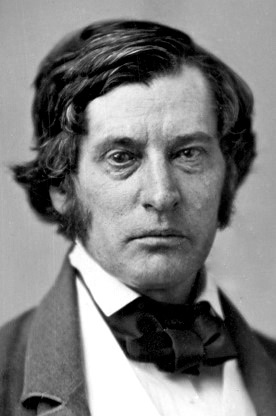 Stephen Douglas himself knew that it hadn’t, but kept up the story. That could only make him look more suspect of secret plans. What really went on when Douglas went to F Street? Or to the White House? With the benefit of distance, we can see that Douglas engaged in relatively ordinary political horse trading but at the time and with the nation’s future very much in doubt, he had to look like an Accomplished Architect of Ruin. And this from a Congress the North seated on a status quo platform? What happened to the finality of the Compromise acts? With northerners already chafing under the Fugitive Slave Act and the ways it forced them to compromise their democratic institutions in the name of slavery, they now had to accept yet more? While asked to swallow all of this, the North also had to deal with the spectacle of repeated attempts to steal Cuba (1, 2, 3, 4, 5, 6), Nicaragua (1, 2, 3), and James Gadsden’s expedition to buy enough land from Mexico for still more slave states (1, 2, 3). If Kansas went for slavery, then with it and Missouri as a firewall New Mexico and Utah would soon adopt the institution. Gadsden’s newly purchased land would inevitably become a new slave state or states. From North of the Ohio river and the Mason-Dixon line, it looked very much like the South had commenced an open campaign to pack the Congress with slave states, undo the hard-fought status quo, and abolish free soil. If they took Kansas and Nebraska, why not Iowa, Illinois, Minnesota, or Indiana? If the South declared war on freedom, the North would fight. Northerners by and large had accepted a nation half free and half slave. Only a hated minority of abolitionists proposed uprooting slavery in states where it already existed. Now southern men would not give them the same courtesy. Few northern men would stand for that. They would not lightly sell their future or surrender their freedom to a band of slaveholding aristocrats, who would degrade their labor by putting it in competition with slave labor. The northern majority in the House knew that. On March 21, 1854, the House referred the Senate’s bill to committee. Normally it would go to the Committee on Territories, but the House referred it to the Committee of the Whole and buried it under a pile of other bills in the hope that it would never come to a vote. Maybe they could ride this all out.